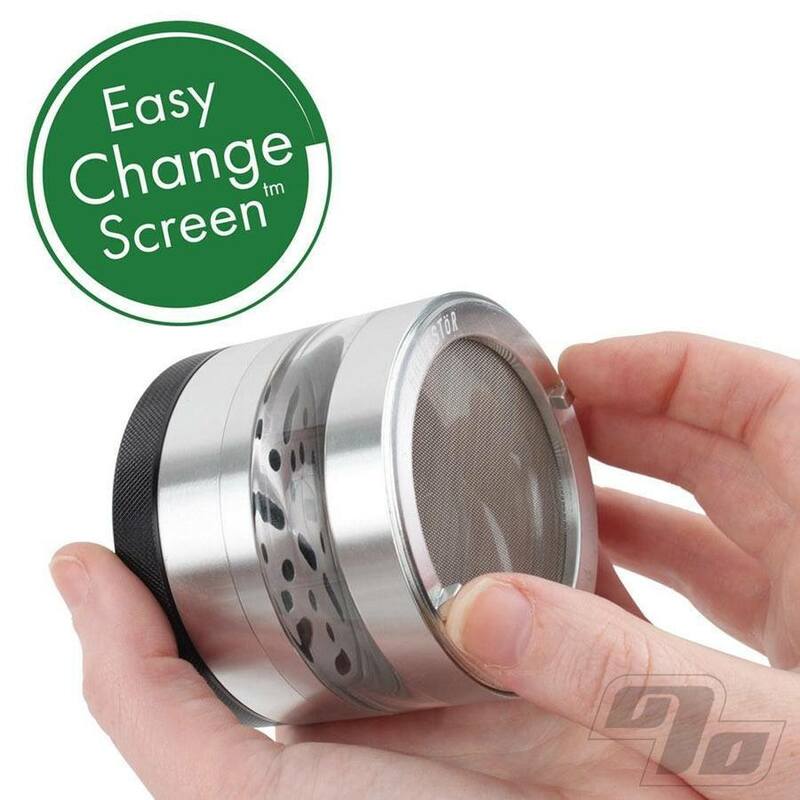 The Kannastor solid top grinder is ideal for grinding, sifting and storing personal quantities of ingredients such as herbs, teas and tobaccos. 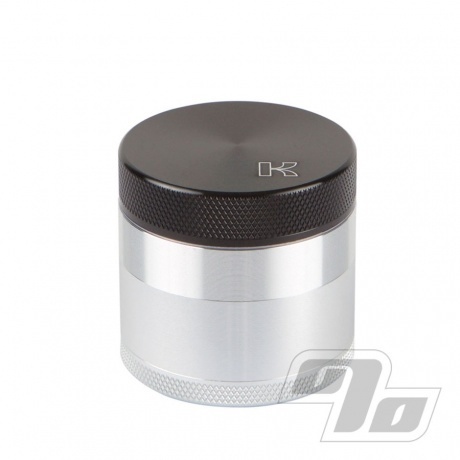 Sized at a pocket friendly 1.5 inch diameter for daily herb grinding and storage. Kannastor Grinders come with sharp, specially designed blades for effortless shredding. 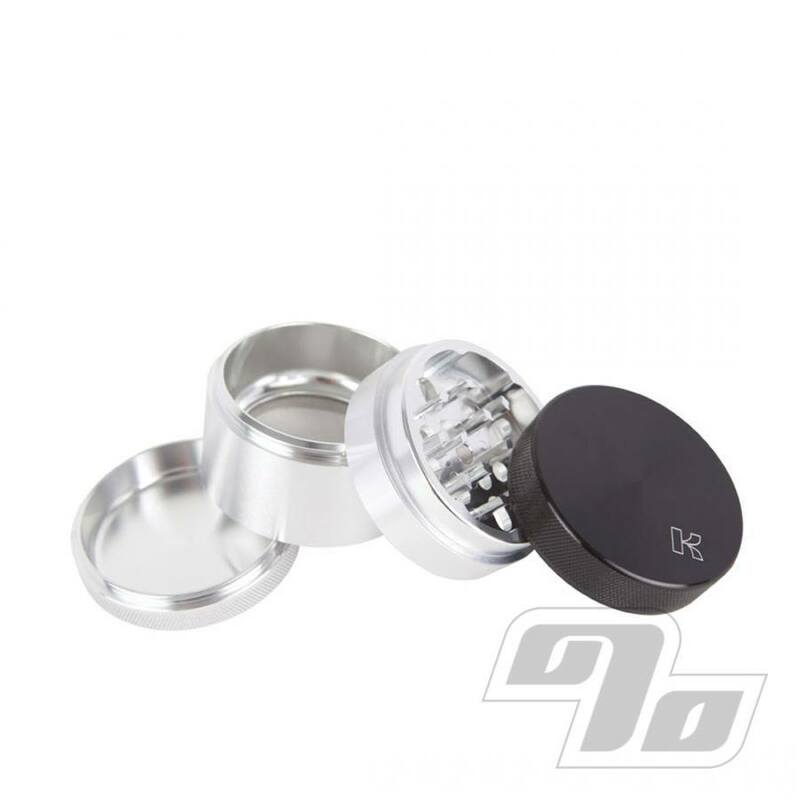 Small 1.5 inch in diameter with storage below the grinder and above the screen. The sifting screen is used for both filtering impurities and for capturing the essence of herbs and flowers (pollen) for holistic applications. Standard sifting screen is 60 mesh stainless steel. Includes a guitar pick scraper. This is a nice little grinder for someone on the go; and it is little! Very easy to conceal or stow away. It's not top of the line but it works great for me. The sifter screen and additional storage is just an added bonus. I would definitely recommend it to others. Strong, beautifully designed, and it does the job conveniently. So can't complain. Nice peice but they are right 1.5in is alot smaller than you think. Works Awsome!!! Keeps a small stash, grinds instantly. Well manufactured, worth the price as this should be considered an investment. Probably holds about 3-4 bowls worth of herbal blend. Yes, the top is magnetic. My only beef: wish the threads to access the herb chamber required less turns.